You Had One Job, Pauline. Exhibitors – Make Sign Up Sheets Available! You can read Pauline’s perspective here. One of the most striking images I saw during the UK Games Expo 2018 was the procession of cosplayers making their way into the centre on the Saturday. The dedication that goes into cosplay is genuinely impressive. I watched pass before me a parade of Harley Quinns and Jokers, Imperial Stormtroopers and Sith Lords, and a hatchet wielding Jason. There were kids too, one dressed up as Iron Man and another as the terminator with a mini mini-gun. A guy dressed up as a fifties greaser hefted a baseball bat as I passed. If I wasn’t already aware what was going on I’d probably think it would be a good time to take some time away from the city. It was like the geekiest version ever of Guys and Dolls. I should have filmed it and released it as the newest instalment in the Marvel Civil War storyline. It would have been a good deal more interesting than the glorified toy-box punch-up of Captain America. 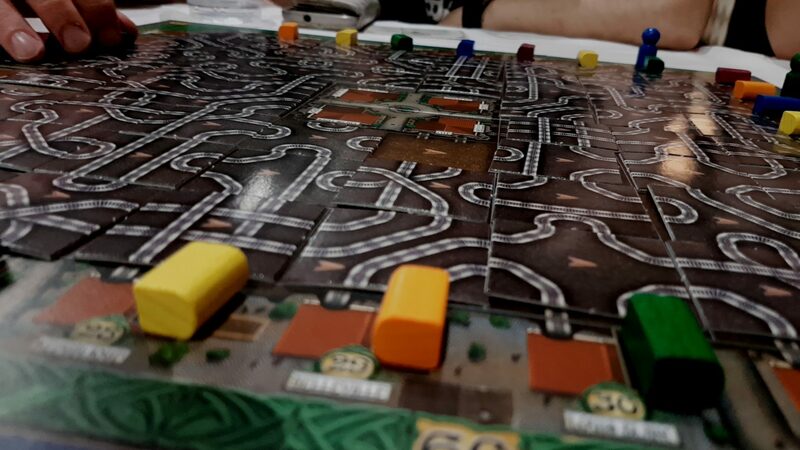 Hello, and welcome to Mr Meeple Talks About UKGE 2018 for a while! For your comfort and convenience, you will not smoke. And also, I’ve broken this up into sections to make it hopefully a bit more readable. First though I’ll answer the question that literally nobody is asking. 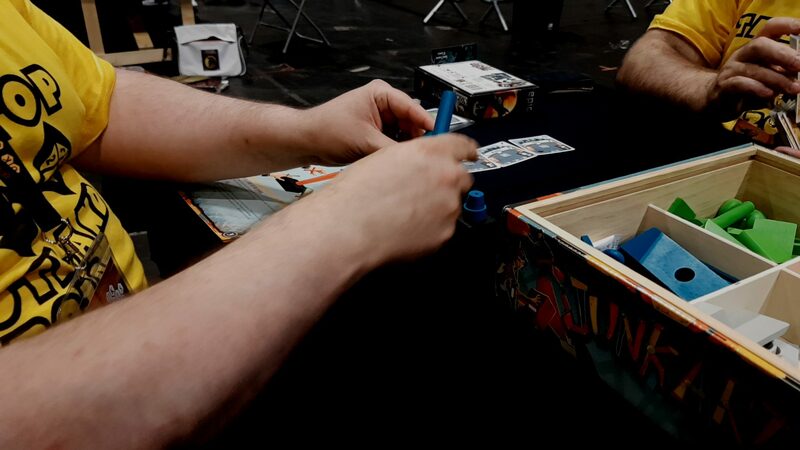 All of our UKGE coverage from last year was muted by an intensely unpleasant time on the Saturday. The hall was too busy. The gaming tables were too full. There was nothing to do, it was too hot, it was too loud. It just wasn’t the way either of us wanted to spend a day. Well, the bad news is that even with the extra hall being opened Saturday was still all of those things. The good news is it didn’t matter at all because we had prepared ourselves. We arranged meetings. We booked in to events we didn’t go because we were having fun doing other things. We met with people. We went to the Portal Game seminar. We played games into the night. It was great, but that came at the cost of preparation and a loss of spontaneity. When we left the event on Sunday, I heard a group behind us talking. ‘Would you come back next year?’, one asked. ‘Not in a million years’, said another. ‘Yeah, it was like entering an alien climate – so hot, so busy’, said the first. ‘There is less than one iota of a chance I’d come back’, repeated the other. We had a much better time than last year but that doesn’t change the fact that this is an intense convention. It’s great that they have scaled up the size and to a large extent that has solved a lot of issues. I especially like that there was always space for gaming, either in the main halls or at the Hilton overflow. Unfortunately the generosity of the library book out periods means you might have been at a loss for something good to play, but you certainly weren’t a loss for somewhere to sit. We probably could have made the press event if we’d rushed when we arrived in Birmingham, but truth be told neither of us were hugely fussed. Sure, you get a chance to see things early and make plans for what to prioritise, but in the end Meeple Like Us is not a news site. We’re not trying to give people the gossip about The Hotness. Time anyone at the press event spends speaking to us is genuinely time wasted for them – the chances are low we’re going to write anything about what they’re doing, and it would be much better for them to talk to someone that might. So, we decided not to go. I have no idea what we missed but I honestly don’t feel like it was anything substantial. There were some weird tonal issues this year at UKGE. Overall the event was all perfectly good, clean and inclusive fun – lots of men, women and children all seeming to have a good time. However, I think an event like this is a flagship thing for the hobby and it has to be Cleaner than Clean. The board game table company Geeknson had gone for a kind of Old West feel at their booth and to support that they had what were essentially ‘booth babes’ dressed up in corsets and fishnet stockings. I would have taken my own photo but I kind of felt a bit sleazy about doing that so here’s the one from their own Twitter feed. I get what they were going for but I’d like to see this kind of thing stopped before it starts. To their credit I think they realised that themselves since from the second day everyone was dressed in considerably less troublesome garb. 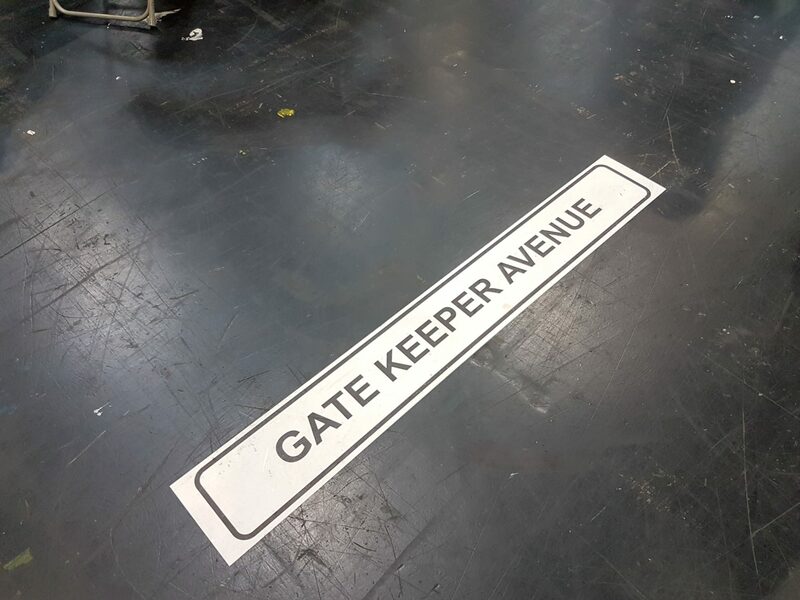 And then I saw that someone had decided to sponsor ‘Gatekeeper Avenue’ as a street name and it just left a bad taste in my mouth. Gate keeping is an attitude we want to see less. I don’t want to see it emblazoned on the floor of the biggest UK event for the hobby. Well were seeing quite few Tweets of your hauls. Fell free to put them here as well. And then there is the ‘haul culture’ that pervades these kind of conventions – where people engage in a consumerist frenzy of buying and then post and tweet as much as they can about it. People are entitled to do whatever they like of course, but I really didn’t like to see the official UKGE twitter channel tweeting encouragements. Conspicuous consumption is not really something I want to see being actively endorsed. I want to ensure the hobby is as welcoming and inclusive as it can be. I don’t think the weaponised acquisition disorder of convention culture is something that should be celebrated. Ah, our seminar – preparing for this took up a lot of time in the week leading up to it. Obviously there was the planning and writing of presentations but there was also a lot of time sitting by photocopiers waiting for the handouts to be finished copying. We had a hefty folder full of ‘gifts for everyone that attended – it contained our academic papers, the lecture slides, some (ironically inaccessible) leaflets, a couple of business cards and a few other things. We had enough of those to fill a very substantial box that ended up weighing – God, I don’t even know. How much do three full sized severed male torsos weigh? That was the only real comparator I had available. Very heavy, anyway. So, after an eight or so hour drive from Scotland to Birmingham we arrived at the N.E.C with a folder that neither of us was enthusiastic about carrying from the car park to the centre. So I decided to briefly stop the car as close as I could to the main hall and let Pauline get out with the box. I’d park, come back, and then we’d carry it in shifts to the seminar room ready for tomorrow. That seems easy, right? That seems like literally the simplest and least effortful thing you could ask someone to do? Stand somewhere with a box until you come back? I parked the car. I walked at a brisk pace to where I left her. ‘Oh’, I thought. ‘She’s showing off her Fitness Skills by carrying the box to the hall to show me up’. Pauline, you see, is Fitness Mad. Imagine that we are a couple that do an above average amount of exercise for two people. Now imagine one of them is me and weeps during every resentful second spent on an exercise bike. Imagine that person will not move unless there is a specific reason to do so. It’s very much Pauline that is responsible for our shared average level of fitness. Me? Not so much. It wasn’t an unreasonable thought then that she’d decided to just grab that box and haul it onwards. I was pretty chuffed actually, because that box is Super Heavy and I didn’t really want to lift it at all. If Pauline wanted to embarrass me with her comparatively phenomenal health, I would be happy to be embarrassed. That would sure show me. So, I started walking towards Hall One. ‘She can’t have gotten there that fast’, I thought. I looked at the path ahead. No sign of her. I wasn’t gone that long and again let me stress – this is a really heavy box. I messaged her. All texts here are direct quotes, not paraphrases. ‘Where are you?’, I ask. ’30 metres from where you left me’, she texted back. Now, this is puzzling on a number of levels. The first is, and I can’t stress this enough, she had one job. Stand with a box. It was a job that was literally less effortful than any other possible job. The second is – 30 meters isn’t a big distance in and of itself but she neglected to give me any indication of in which direction. ‘On the footpath heading to hall 6’, she replied. Now, this raised a worry of its own because Hall 6 is in the opposite direction from where we were headed and you need to make an effort to get onto any footpath that directly leads there. You essentially need to head a good deal more than 30m in an obviously weird direction. ‘I basically must easier across the Hilton car park’, she then elaborates. Yes, this was our introduction to UKGE this year – Pauline essentially playing the part of a text-message spambot sending me puzzles as to where I should go to pick up a box I didn’t even want to carry. It was the shittiest LARP quest of all time. I mean, look at that – it’s like the kind of clue you get in an escape room. What does that even mean? Is it ROT13 encoded? A Ceaser shift? Maybe it’s one of those weird transposition exercises against a solution book I need to find. I tried to phone. It wouldn’t connect. ‘A woman with a box, somewhere 30m from here. She had one job. Stand by a box’. He looked around in a 30m radius that showed no woman anywhere. ‘Oh, okay’, he said and then wisely decided not to involve himself in what looked like a brewing domestic incident. When I next saw him, he was passing by Pauline with a nervous grin on his face. ‘Are you on foot?’, she asked again – seemingly expecting that upon being told I’d need to walk 30m I jumped instantly back into the car. Yeah actually, that’s probably fair. Wait, 20 metres now? Did she move? Did she overestimate last time? IS THIS PART OF THE ESCAPE ROOM? Also, if she was where I’d left her she wouldn’t be 20 metres away. And of course she got tired because it weighed the same as a small family of mid-sized otters. That’s why I said ‘just stand by the box’. Anyway, after a few more minutes of storming down paths, looking under rocks for codebooks, looking at signs from angles to see if they revealed magic eye puzzles, I found her. She was indeed on a footpath. No, it wasn’t to Hall 6. The reason I couldn’t see her is because she had picked a place to stand that was both shaded by trees and fences and silhouetted in the dark. If she had picked a location from which to spring a surprise knife stabbing she could scarcely have done better. I walked over. I looked over. ‘I got bored’, she said by way of explanation. Literally the excuse of a five-year-old that didn’t want to perform a simple chore. Capital City Entertainment had contacted us a few months ago regarding the documentary they are filming about board games. 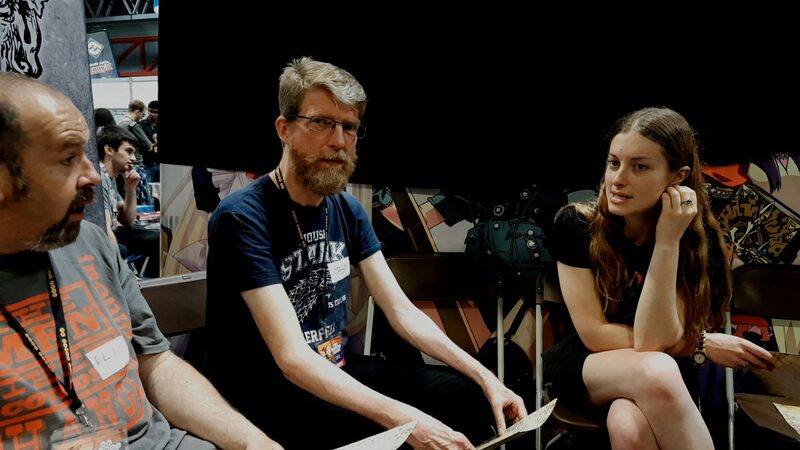 We met up with them first thing on the Friday and talked a bit about the site, about representation and inclusion, and the ‘people like me’ biases that can create barriers of participation in gaming. It was a weird experience for both of us because we don’t do a lot of interviews, and certainly not under the kind of circumstances where the background is a massive throng of people. I’m hoping we didn’t say anything career-ending during our discussions but who knows. I’m sure I used the phrase ‘homosexual world’ at one point and I’m simultaneously intrigued and alarmed by how that will actually come across if it makes the edit. I think probably the best I can hope for is that it makes me sound like exactly what I am – an out-of-touch old man talking about things he doesn’t understand. Having said that, if anyone wants to start up that theme park you’ll find I have the name trademarked. thank you! Fascinating and a great example of research that is itself accessible and can have a real world impact! Really good talk. Lots of things to think about for designing, which I suppose is the first step really! Really enjoyed the seminar too – my main takeaway was the focus on removing unintentional inaccessibilities should be an key aim for designers/ publishers. Attendance was better than I had feared, and really about as good as I had realistically hoped. We weren’t standing room only or anything but certainly there were enough people as best I could tell to justify situating us in the Piazza Large seminar room rather than the small one. Unfortunately we didn’t take a recording of the talk, but a couple of other people did. It would be Super Great if they could get in touch with me if they got something usable and wouldn’t mind me making it available. If not, we might just record the voice-over as intended and throw it up on Youtube. Maybe? Is that a thing people might find useful? Let us know! The extra space made the Friday very nice in terms of feel – pretty much just large enough for the attendance that was there. We spent a few hours wandering around looking at things, and here’s really where we realised something that puts a question mark over our attendance next year. There wasn’t a lot that was new to us. Sure, the individual game stalls and the like changed a bit but there as a sense of deja-vu that we’d already done this. 2018 has struck me as a pretty disappointing year for games – there’s very little about which I’m actually really excited. Last year I was positively vibrating for a whole range of games. This year… the two games I’m most excited for are Holding On (which I’ll get to later) and Cultist Simulator. That latter one isn’t even a board game. Wandering around the expo, I didn’t really get the feel that 2018 was more exciting than I had known. That and a ‘one in and one out’ policy means that we only came away with two games in the end. That policy has made me a lot more critical about buying. Essentially, I am reluctant about buying a game that might make it onto my shelves. One thing I will say here though as a suggestion for all exhibitors – make a sign-up sheet and post it by your stall! 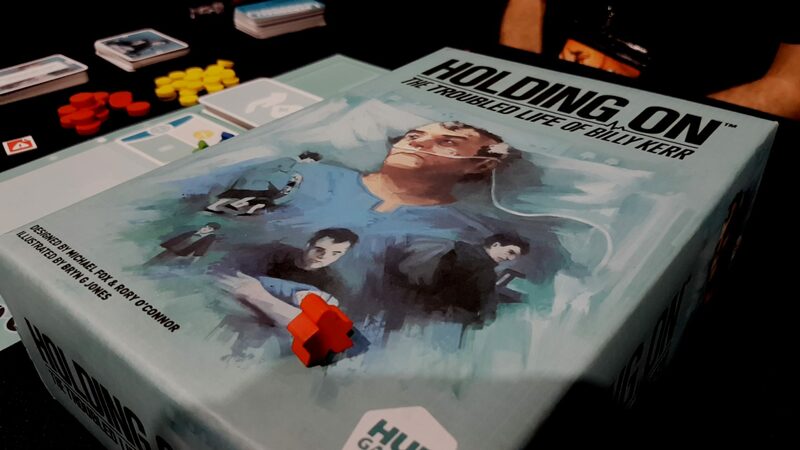 Hub Games did this for Holding On and it was literally the smartest thing anyone did at the convention. Put it up online, let people sign in ahead of the event. I asked the people at the Escape the Dark Castle booth if they had a sheet, and they didn’t. You just had to hope a table was open at the time you passed. I actually made an effort to see that one four times and never could, so now I’ll probably never play it. I might have liked it. I might have reviewed it. The thing here is that really an exhibitor shouldn’t be as interested in participation as they should in conversion. Conversion here might be a sale, or it might be coverage or developing a useful contact. If someone goes to the effort of signing up to a game well in advance of the event what they are saying is ‘I am already invested to a degree in this experience’. Someone that lucks in to sitting down to play might simply be doing it out of a lack of other options. 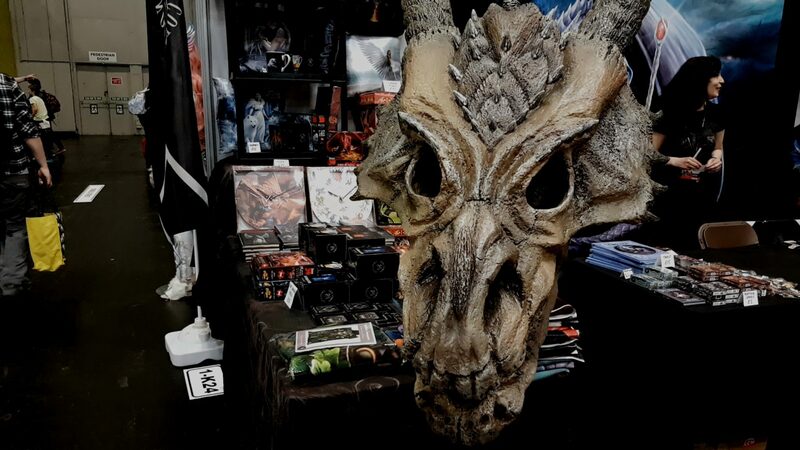 You might convert them, sure – but wouldn’t it be better to allocate at least a portion of your booth to the people that specifically want to see you? Hub Games inspired me to send some emails around to a few exhibitors in advance, asking if they had sign up sheets or could specifically make themselves available for meetings. Those that didn’t – well, I probably didn’t see what you had to offer. Those that did, I met you over the course of the weekend and you’ll see your games here. Some of them I’ll even be excited to review if you send them my way. Exhibitors, please consider whether or not you can dedicate one of your demo tables for sign ups. Even if you don’t get any interest in advance the worst that can happen is that you end up back where you started. Once the seminar was done with we got a chance to sit down and play some games finally! We played Snake Oil with Daniel and Dave Wetherall, and that was a blast. I’d never had the chance before but it’s a really light, really funny game of trying to convince people to buy terrible products that meet precisely zero of their real world needs. It’s basically like someone threw you on the QVC shopping channel and kept shouting in your ear to pitch until someone actually buys something. We also got to play a nice little trick-taking prototype of Dave’s called Martian Excursion. The version that will be kickstarted soon won’t have the Expanse framing (for obvious reasons) but it was fun enough that I’d recommend you keep an eye on it. You only had four times you could step in and claim cards, and a push-your-luck element that mean if you left it too long you’d end up screwing everyone as a result. In the evening we sat down with Owen Duffy and his family for a game of Metro from Queen Games. This was nominated for the Spiel des Jahres in 2000 and if nothing else it showed how far the hobby has come since then. It’s not that it was bad so much that it was… well, yeah, it was pretty bad. If I had to describe it, and I do because that’s my job, I would say it was Ticket to Tsuro. Or perhaps, Tsuro to Ride. You were looking to connect stations on the edges or the centre with Tsuro-style tiles and then you’d get points for how convoluted and long the route was. As a satire on public transport system planning it was spot on. As a game – well, it was too difficult to track scoring, too chaotic to plan ahead, and too reactive to be interesting. Essentially I enjoyed myself, but because of the company rather than because of the game. Anyway, Owen and others will be Kickstarting their board game book very soon now and you should definitely keep an eye on that because the roster of talent involved is very impressive. We know Sarah and Nigel Kennington of One Free Elephant from the Olden Days, and so we always make it a point to stop by and say hello at events like these. For much the same reasons as with the press event though we don’t like to take too much time away that could be spent on potentially paying customers. That said, I’ve also been making an effort of late to do what limited things I can to support the Scottish Gaming scene so you should expect to see a review or preview of Microbrew at some point in the near future. 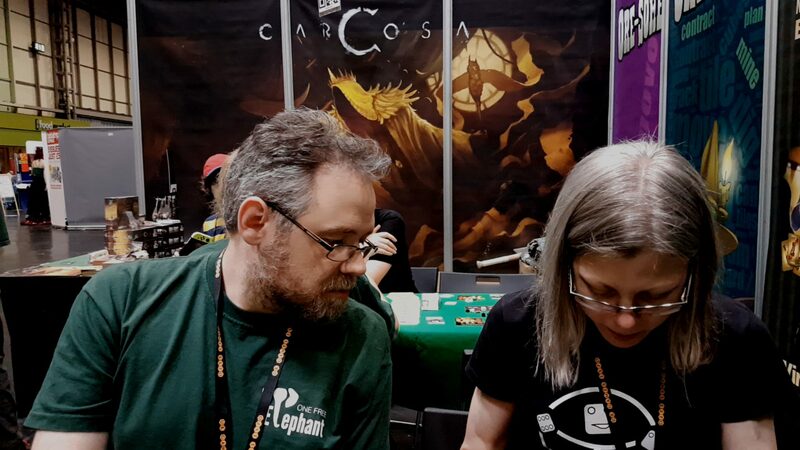 We also finally got to sit down and play Carcosa and it was really neat – Carcassone with a Cultist vibe, hidden information and some nice player versus player interaction. You place tiles down with their payload hidden and you only reveal them in full when the feature is completed. 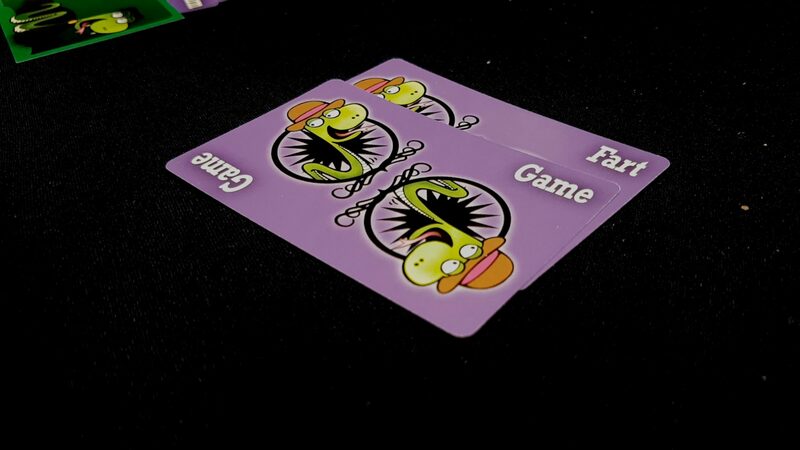 It lets you set traps for opponents as well as make big scoring opportunities available for yourself. It lets you bluff and counterbluff. We didn’t manage a full game because we had to head off but I was genuinely intrigued and if you like the sound of a meatier, edgier Carcassonne you could do a lot worse than checking it out. Blood on the Clocktower is the perfect poster child for a game that ended up on my radar because of a sign-up sheet. Angelus Morningstar over at Story Board Gamer is something of an advocate for this game, and on the strength of his enthusiasm I was willing to give it a go. They were kind enough to sign us up over Twitter (SIGN IN SHEETS FOR THE SIGN IN SHEETS GOD) and so we stopped by to check it out. We played with Sarah, Ali and Olly (I think? Sorry, your name badge is a little obscured in all my photos!) and spent a good thirty minutes engaged in some of the most intense, knife-out social deduction I’ve played in a while. There’s no gentle probing around the contours of the betrayal space here – it’s executions and murders all the way down. On the surface there isn’t really much here to distinguish Clocktower from many other games – you have a moderator, a group of players, and a set of hidden roles. What makes this interesting though is how cleverly the roles introduce information into the game. Social deduction games live and die on the quality of the player interaction they permit. Some go for feast of information, some go for famine. It’s clear from our first play of it that Clocktower gives you a veritable banquet of deceit and intrigue from which you can dine. I signed up for Kickstarter information, and as you may already know I am borderline hostile to Kickstarter. The need for a moderator means that I might not back it but I’m certainly interested enough to consider it. I wouldn’t have if not for the ease with which we could play. If nothing else, I would recommend it very much to your attention when their campaign launches. Okay, let’s get on to the real star of the show for me – Holding On from Hub Games. We got to play this with Matt from Creaking Shelves and a very nice fellow called… I want to say Daniel? The lovely Michael Fox was on hand to talk us through it, which he did on two tables at once like a city park chess hustler. This is a game that fascinates me, and one I hope very much to review for the site. It’s essentially a story-driven game with unfolding scenarios, set around the framing of a man slowly dying in a hospital. It’s your job as a group of players to work together to keep him alive while also encouraging him to reveal his memories so as to let you piece together his history. I can see right away that this is a game that is almost certainly going to be very emotional and moving. Each of the memories you are uncovering are tied heavily to a real-world place, time and context. Billy Kerr is obviously a complex gentleman and this weird and inventive worker placement game was just as good as I hoped it was going to be. Perhaps a little confusing because we were learning under the suboptimal conditions of a noisy con with lots of passer by interest, but obviously richly evocative and full of heart and meaning. It’s also one of the most viciously pointed satires of the British health system I have ever seen. I assume that’s intentional because it is too good to be accidental. Literally you spend so much of your time in the game over-stressed to the point that you mechanically are unable to put yourself into the position of being able to care about what’s happening to your patient. So much of what you do is triage – minimising harm while maximising self-care so that when the really difficult things come along you’ll be in a position for Billy to survive. Hopefully. This is the NHS under the Tories – expensive brand consultants flouncing around being too important to work while the resident staff are worked to the point of being unable to feel. You can do what we did, which was approach Billy’s end of life care like we were engaged in an act of extraordinary rendition. Billy’s last few days weren’t so much hospitalisation as they were a brutal interrogation in a CIA black site. I started to see myself in the game not as an NHS shift worker but the guy that comes in when you’ve strapped a prisoner to a chair. The guy with the tray of interestingly shaped sharp metal things. The one heating up a horrifying looking implement with an evil grin and an obvious erection. And sure, that meant we were indifferent to his health and overly aggressive with extracting his memories. Really though, he wouldn’t have arrived at our black site if he hadn’t done anything to be there. Our job was to do the literal least amount of work that allowed us to keep our jobs while we cracked open his head to reveal the memories inside. He’d be having a major medical emergency and we’d come in and do the game equivalent of fluffing his pillows while he flat-lined. As time goes by you unlock cards that show blurred images from the past and then eventually need to match these up with the full, clear images. You can lose these as time goes by too, depending on the events you draw and the way you approach Billy’s care. ‘Does anyone remember what Billy said yesterday? Something about underpants… I don’t know, can’t read my own handwriting’. In the right environment this is definitely going to be an emotionally resonant and meaningful game, and I can’t wait for its full release. Hub Games have something genuinely wonderful here for us when the time comes. Ignacy Trzewiczek’s seminar was funny and interesting, although quite tightly focused on personal anecdotes and short of a lot of generalisable insight into running a board game business. Well worth attending, but perhaps not quite was I was expecting. Probably the most significant takeaways from the seminar was the role that managing hype and expectation plays in the process, and how difficult the modern environment makes planning. The average game still sells perhaps two or three thousand copies, but there is ‘no ceiling’ on how high sales can go. That makes it so much more difficult to gauge how much printing needs to be done and that creates a significant problem for publishers. If you print too many, you take a loss on upfront costs and storage. If you print too few, the lack of availability will start to hurt your reputation and people will lose interest as they wait for a new printing. 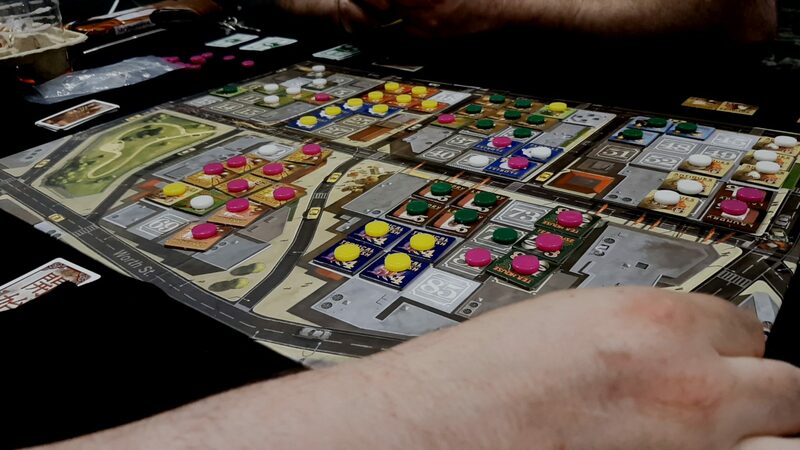 ‘It’s dangerous for the industry’, says Ignacy. There are around 60 new games a month coming to retailers (leaving aside Kickstarters) – to stand out, a game must be noticed. It needs to be hyped. But it also needs to not be hyped too much. Hype is needed to get interest. Overhype creates resentment. This creates a weird system of publisher incentives to be loud about a game and then dampen down the enthusiasm, often without success, when it seems like the hype is going to be a problem. ‘Four month before First Martians was released, I was telling everyone that it’s a boring Eurogame they shouldn’t buy’. It seems like being ‘the hotness’ would be a great thing but as we have seen many times with video games the simple truth is that games can never live up to excessive hype. That’s why my bet is that we never see Half Life 3. For those looking to pitch games to a publisher, the other useful takeway is that you need to get people excited. Don’t talk about mechanics – talk about theme and how the tools in the game help you uncover that theme. ‘Most pitches are lame and not interesting’, says Ignacy. I think reviewers could learn a lot from that too. What’s important is why we should be excited about games, not what we do within them. Most of our Saturday evening was spent playing games with the fine fellows of Tabletop Scotland. You know about Tabletop Scotland, right? It’s a board-game convention in Perth on the 1st and 2nd of September this year. If you can come along, you absolutely should come along. We talked a bit about their plans, the support they are getting from exhibitors and publishers, and the importance of tone and intention when creating an inclusive event. If anything I’m more excited about Tabletop Scotland than I am about UKGE 2019 because I think it’s more likely to be the right size and the right emphasis for what the hobby needs. Duncan Cowan talked to us about how they see this as an event that can bring new people in, as opposed to service the obsessions of those of us already too deep to get out. They’re looking not for passing trade but for returning trade, and that means the whole event has to be about making sure people have a good time. 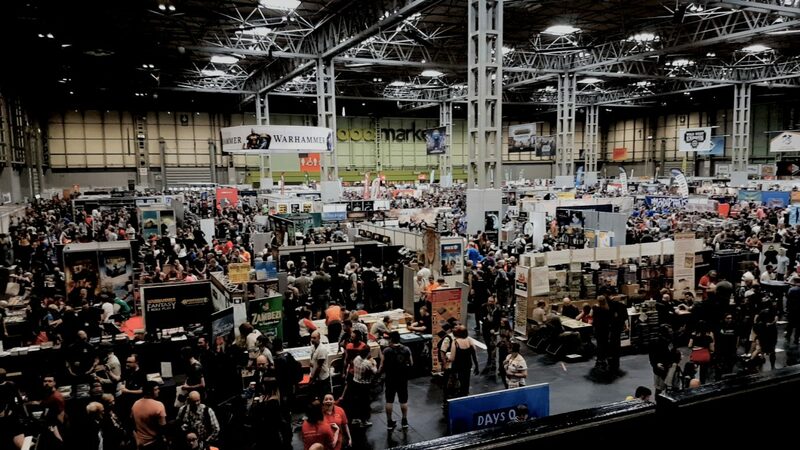 There’s a lot to do at UKGE but in the end it’s up to you to extract the joy from the event. That can be hard to do in the churn and crush of the crowds. 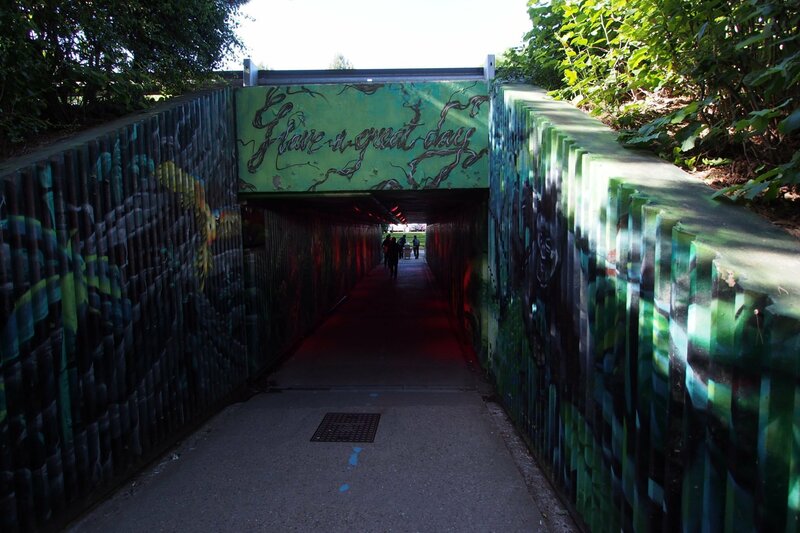 Lots of people only go to UKGE for a side trip – they live close enough to make that happen. Those of us that have to travel for it (eight hours in a car each way for us) need to basically gorge ourselves in order to make it worth the journey. That creates an incentive for more spectacle and more sights. More sounds. Just more of everything. 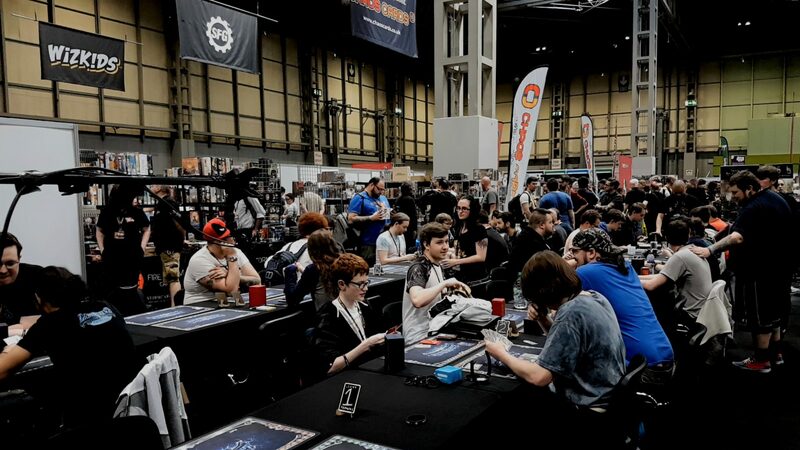 The rate at which UKGE grows is undoubtedly good for the hobby but I think there’s definitely room for a more intimate event where the focus isn’t on novelty but rather on doubling down on what we already know is fun. All of this though was mostly side conversation because we were just meeting up to play games. We tried out the Mind (still not at all convinced). 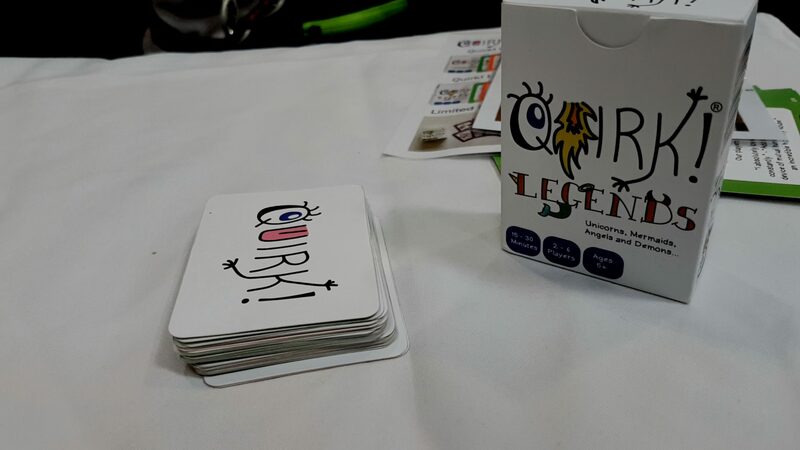 We played High Society from Osprey Games – light, fun and simple with some nice auction mechanisms built in. 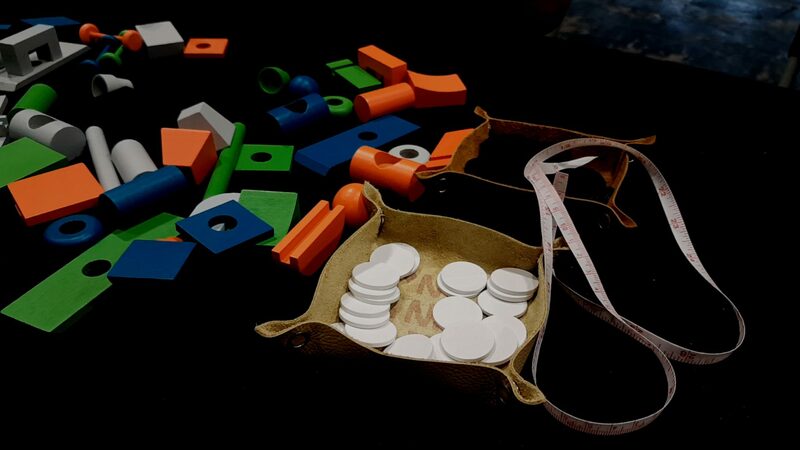 We played Junk Art which was a blast – there’s a mode in there that is basically a synthesis of Meeple Circus and Dobble and it is enough by itself to sustain the entire game. And then we played Chinatown which… my God. Have you played Chinatown? It’s really hard to get, probably thanks to the enthusiastic Shut Up and Sit Down review, but it is phenomenal. It’s a pure game of negotiation and property empires, where the only rule during deals is that ‘anything goes’. I don’t think I ever made a single deal that was any good, but every single one of them made me feel like Gordon Gecko. It feels genuinely empowering to trade handfuls of tiles and tokens and properties and come away feeling like you are the world’s greatest property mogul even when you come last. It was Super Good and I’m hopeful there will eventually be a reprint because I will pick that up pretty much instantly. I was really disappointed we weren’t able to make the Serious Games seminar at UKGE – unfortunately it conflicted with a prior appointment. Our seminar obviously was also heavily research focused. Outside of the seminars though I was delighted to meet Millie Abbot and Lauren Jansen-Parks who are both active researchers working in areas that are relevant to the work of Meeple Like Us. During our gaming on the Saturday evening we basically geeked out a bit about academia (and the often futile publication cycle that goes along with it), impactful research, and the importance of finding a way to make sure that research work has social benefit. I’ve grown increasingly skeptical about the value of academic publishing over the past few years – doing Meeple Like Us has shown me what impactful research actually looks like. It was wonderful to find two other interested researchers who have seen, much earlier than I did, the right path towards meaningful work in this area. I hope to be able to report on what they’re doing at some point with Meeple Like Us, and I hope we can all find some common ground for collaboration as some kind of cool, edgy research-disruption hub. The board game industry doesn’t really have a great way to engage with academic research at the moment, but maybe we can change that. Oh my, this blog entry is already too long so it’s time to wrap it up with some quick highlights! 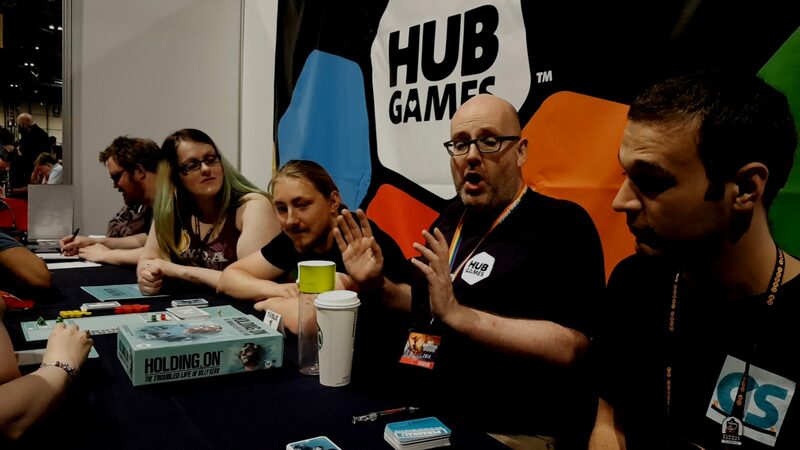 We met with the lovely people at Osprey Games who gave us some very useful insights into what directions we should be looking to pursue with Meeple Like Us in the future. We’re working on building up more publisher facing tools, and a key part of that is knowing where our tools could potentially fit into real life workflows. They were super helpful for that. We also played the Mind with them (briefly, before we got kicked out) because I am desperate to find the right group of people that unlocks all the magic I have heard about. I got shown a brief demonstration of Vortex Chess – for those that find Tash Kalar a little heavy and chess a little sterile, this might be a good middle ground. We met up with Millie Abbot again and played a game called Quirk where you attempt to get cards off of your opponent by watching their actions and then imitating the noise, sound or appearance of a thing you think they have. It’s mostly a game for parents and kids but I have no doubt that it would be great in that capacity. 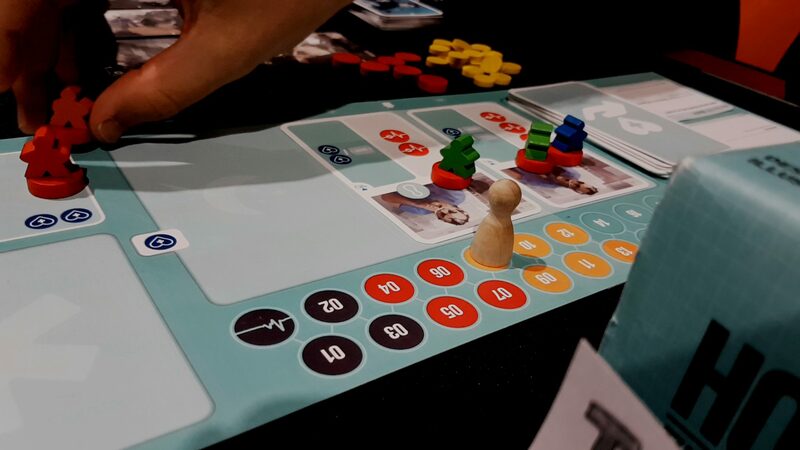 We had a very interesting chat with Kat of the I Play Red blog and discussed the role of board games in health and well-being and lamented that there’s no infrastructure in the industry for supporting play demonstrations in palliative care. If board game publishers and designers really want to double down on the social good of this hobby, this is something to consider. I’m sure there’s more, but Mrs Meeple will be writing a post of her own and I’ve pretty much exhausted the contents of my little notebook. My energy crashed pretty dramatically on the Sunday, to the point that I instantly went from ‘Let’s play another game’ to ‘Oh God, we need to leave right now’. Still, we managed so much more this year and enjoyed it a great deal. Going in with a plan and being prepared to let the crowd drive us where it would go during down-time was perhaps the wisest thing we decided to do. I still didn’t meet everyone I wanted to meet, didn’t get to play all the games I wanted to play, and didn’t see all the things I wanted to see. However, most of our time there was spent in enjoyable pursuits and that in the end was what made it a good convention for us.